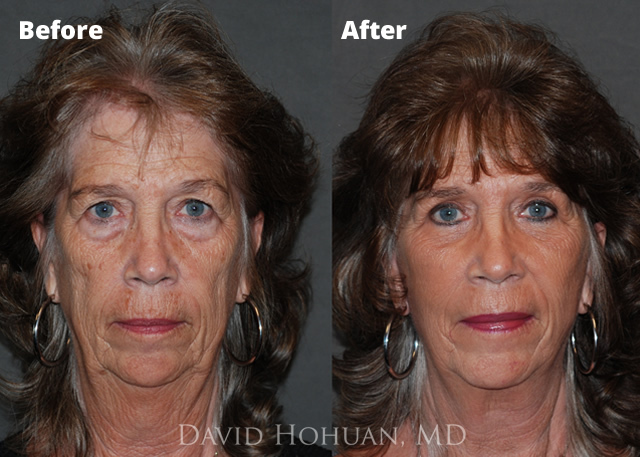 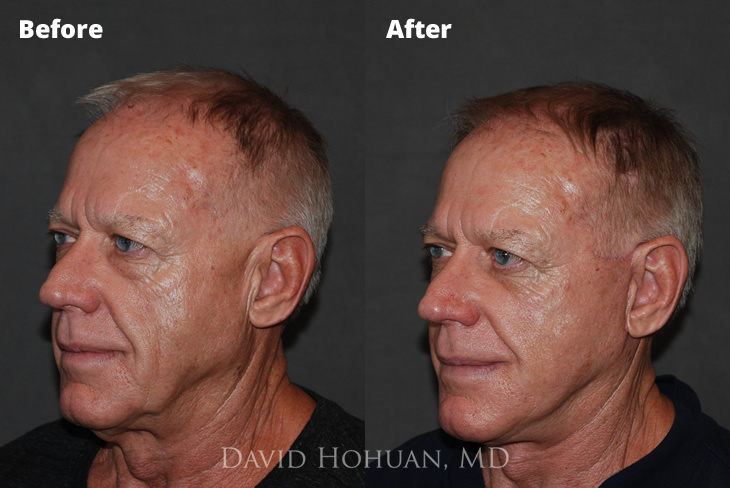 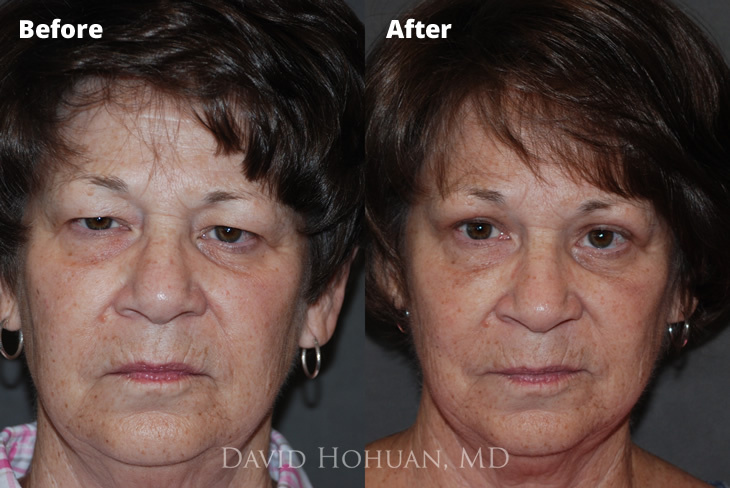 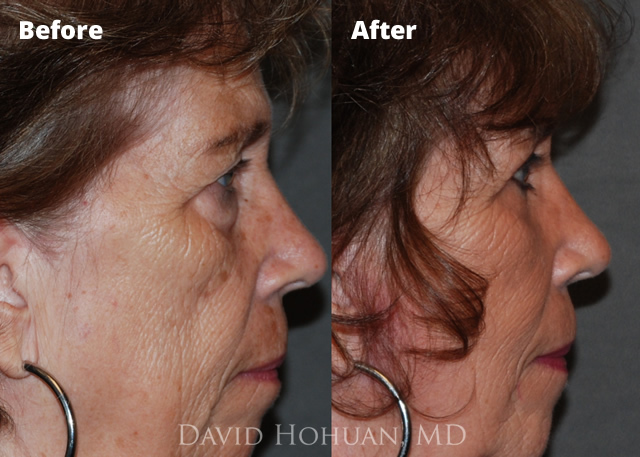 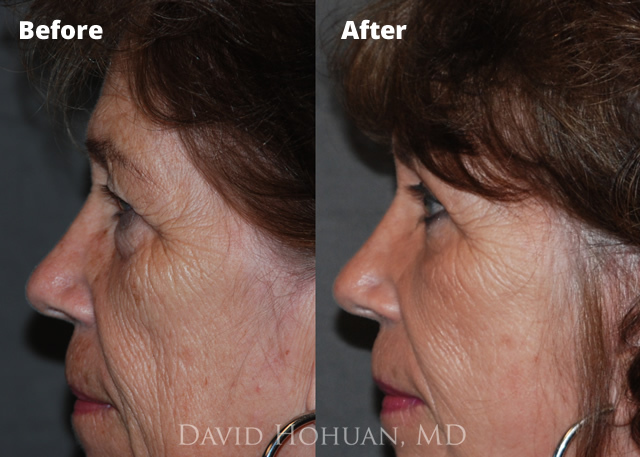 Dr. Hohuan has extensive experience with all aspects of cosmetic and reconstructive surgery of the eyelids and orbit. 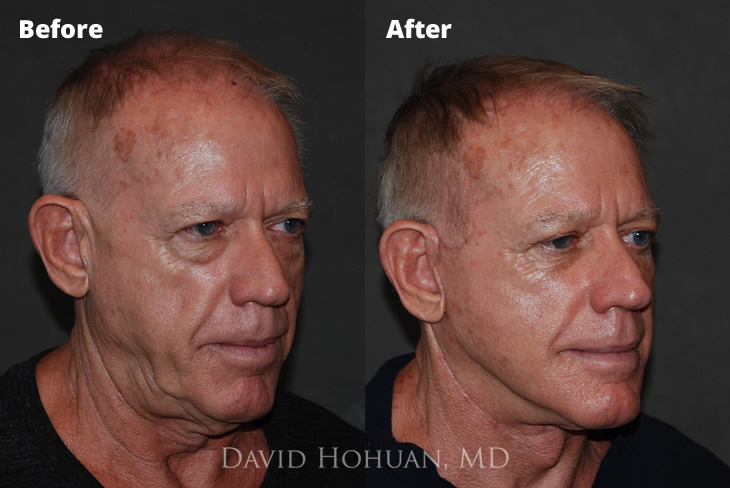 His training has given him extensive experience working alongside both oculoplastic surgeons and facial plastic and reconstructive surgeons. 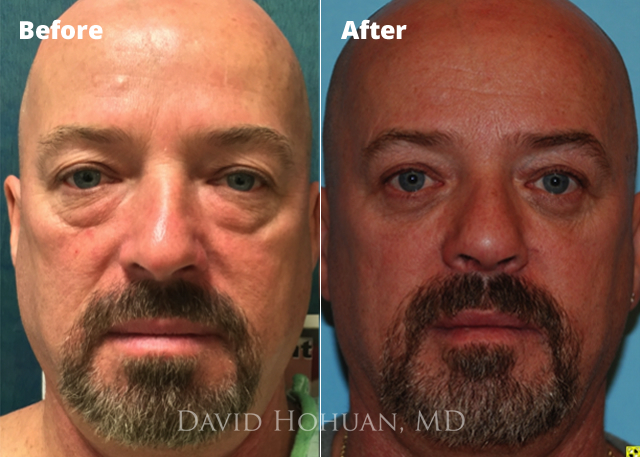 The eyes are the focal point of a person's face, and his philosophy is to apply minimally invasive techniques that achieve natural-looking results with a focus on fat transposition and fat sculpting, rather than fat excision. 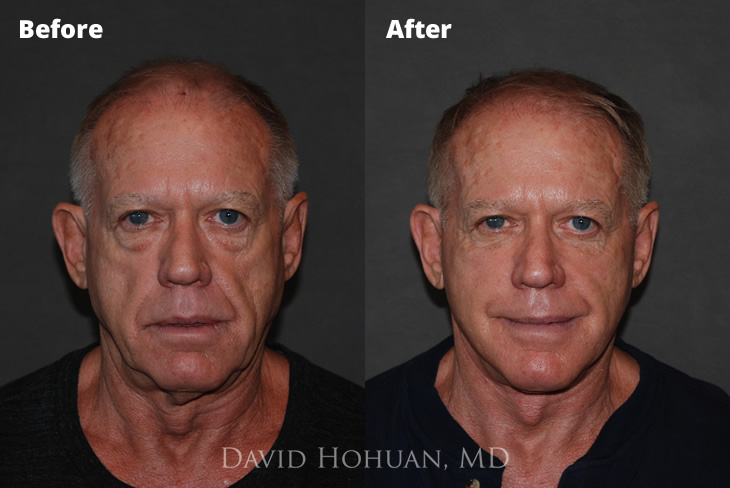 His approach to upper eyelid rejuvenation takes into account the position of the brow and hairline, allowing for results that look harmonious, natural, and rejuvenated. 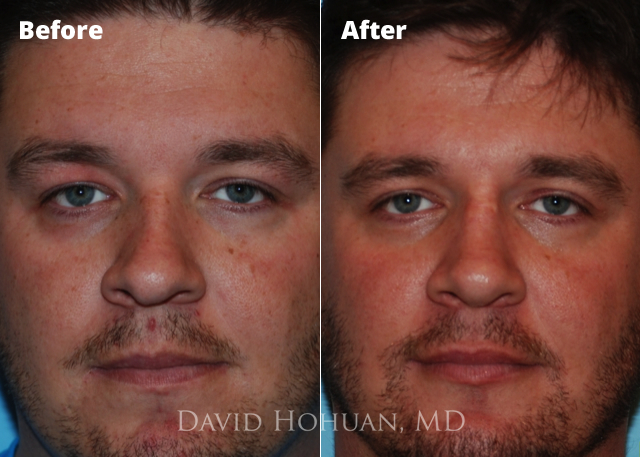 He specializes in minimally invasive brow lifting procedures that can be performed at the same time as upper eyelid surgery through the same incision (Transblepharoplasty Browlift), permanent removal of frown lines around the eye and nose (Corrugator Excision), as well as traditional browlifting techniques (Coronal Browlift, Trichophytic Browlift, Minimally-Invasive Endoscopic Assisted Browlift). 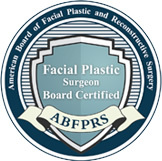 He will also determine if you are a candidate for adjunctive procedures around the upper lid, including filler (to treat hollow, sunken eyes), or botox (chemical browlift). 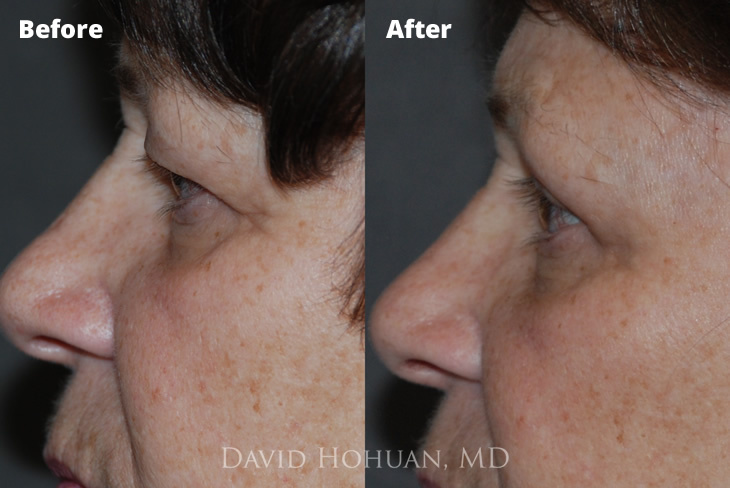 In some cases, a minimally invasive midface lift can be done through a small access incision in a natural crow's feet wrinkle to restore the fullness of youth around the inferior orbital rim. 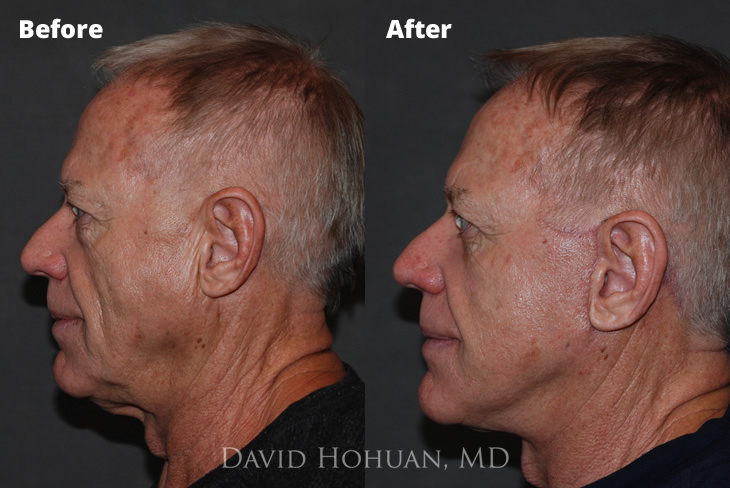 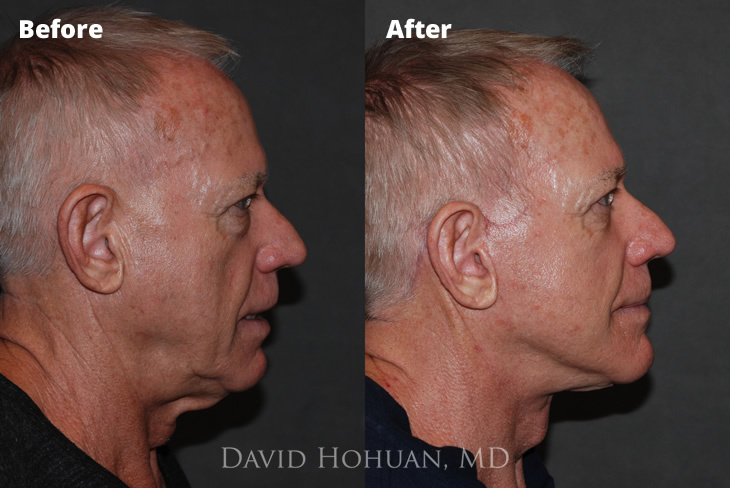 This access incision allows him to reposition the malar fat pad to its normal position adding fullness and contour to the highpoint of the cheekbone (malar eminence). 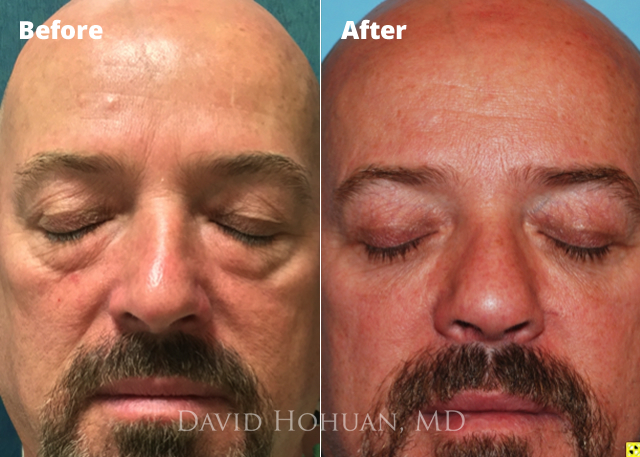 His approach to lower eyelid rejuvenation takes into account the amount of saggy skin around the eyelid (dermatochalasis), the amount and degree of bags (pseudoherniated fat), and the position of the corner of the eye (lateral canthal laxity). 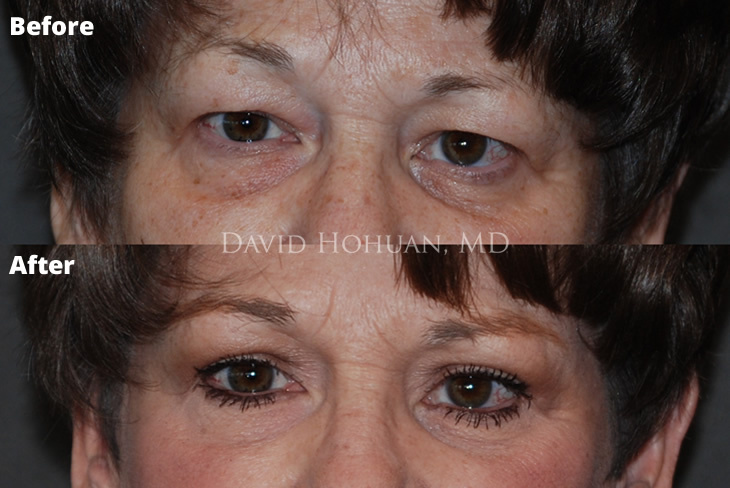 In most patients, rejuvenation of the lower eyelid can be done through an innovative fat transfer technique done through a small incision behind the eyelid that will not be seen postoperatively (lower eyelid fat transfer, transconjunctival fat transposition), combined tightening of the lower eyelid (lateral canthopexy), and occasionally for patients with only limited sagging skin, a small skin pinch can be performed at the same time. 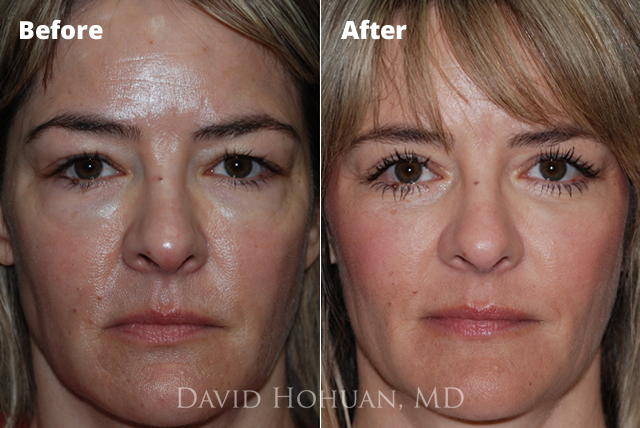 Transconjunctival blepharoplasty with fat repositioning allows Dr. Hohuan to conservatively sculpt and smooth bags, but also to use this fat to soften hollowing that can be seen around the lower eyelid with aging (tear trough deformity). 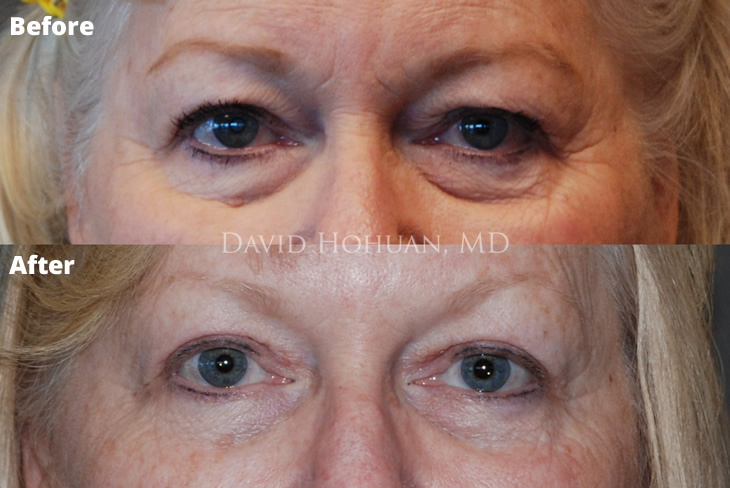 The advantage of this technique is that it does not require a separate procedure to harvest fat from the abdomen or thigh (free fat grafts to the eye), and does not use filler around the thin skin of the lower eyelid which can cause an unnatural puffiness or blue tinge to the lower lid (Tinzel effect). 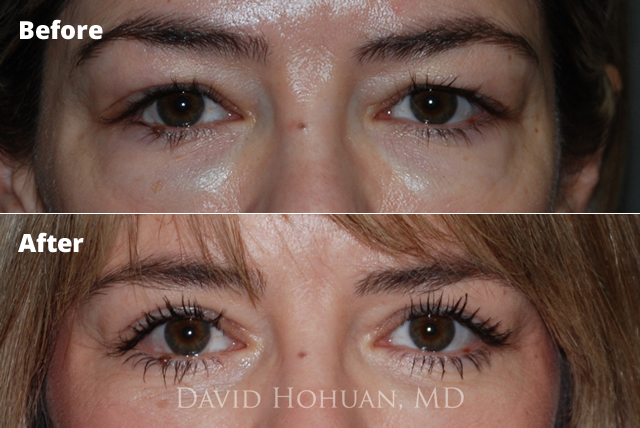 In patients with a severe amount of excess skin around the lower eyelid, lower eyelid rejuvenation can be performed through an incision hidden beneath the lashes (subciliary incision), which in addition to allowing contouring and transfer of fat of the lower eyelids, will allow for more removal of excess skin and muscle. 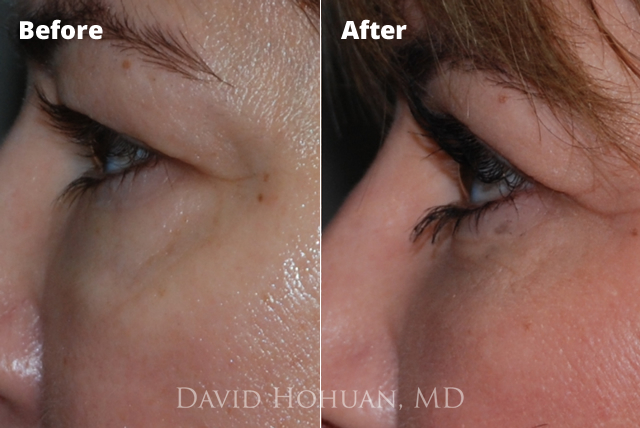 Procedure: Upper Eyelid Blepharoplasty, Transconjunctival Lower Lid Blepharoplasty. 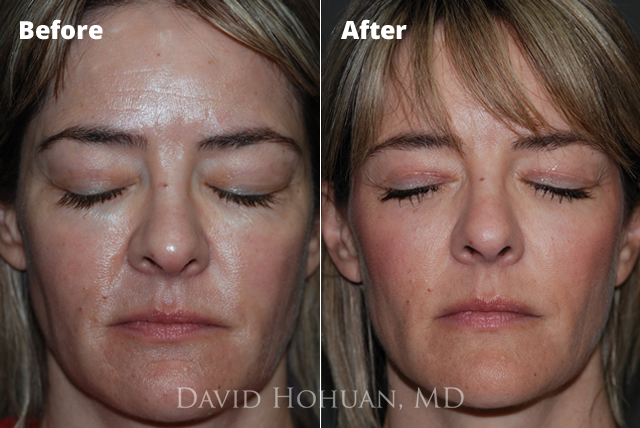 Technique: Patient was not a candidate for Browlift due to specific patient factors. 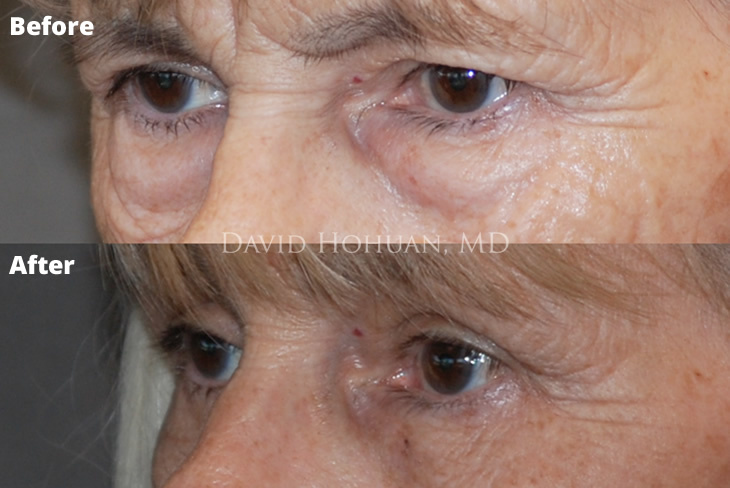 Conservative Upper Eyelid Blepharoplasty done with sculpting of fat and release of orbital ligament. 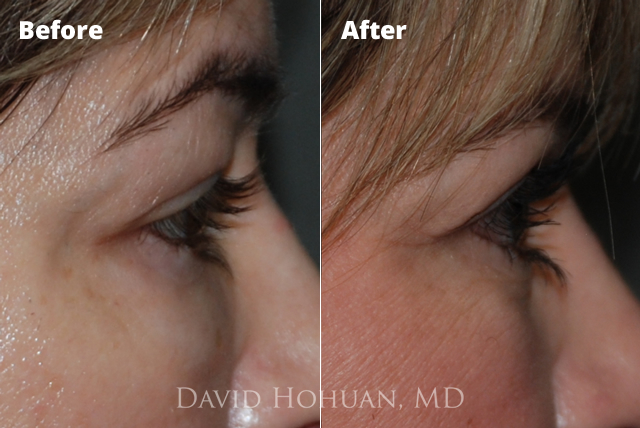 Conservative Transconjunctival Lower Lid Blepharoplasty Performed with release of Orbitomalar Ligament. 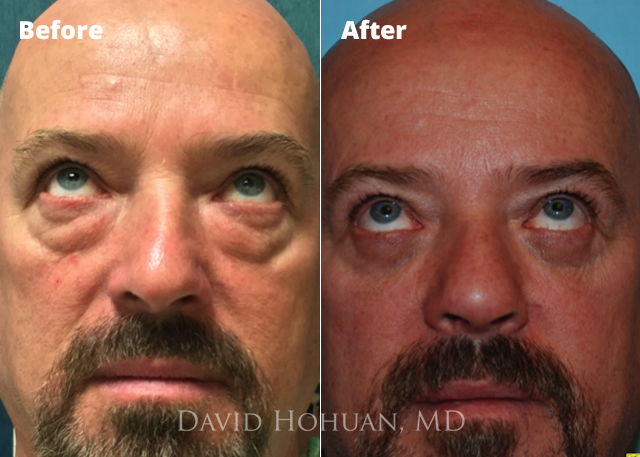 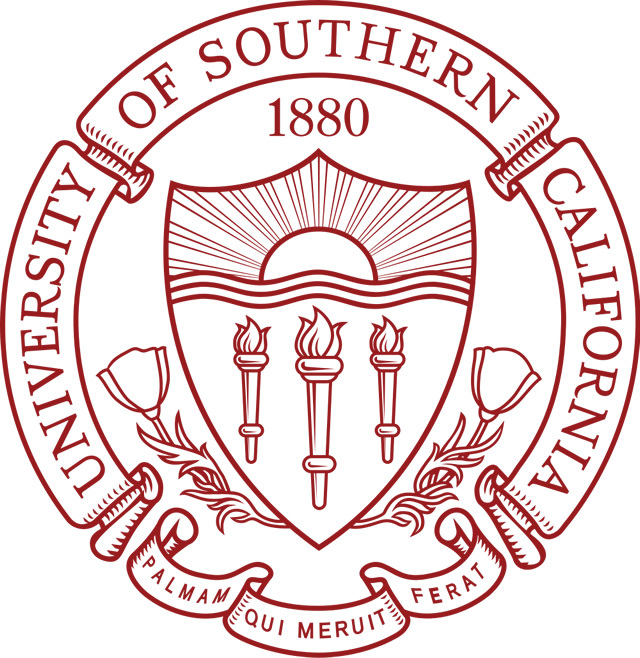 Diagnosis:Aging of the Upper Eyelid and Lower Eyelids, Excess Skin, Excessive Orbital Fat Herniation (Steatoblepharon) of the upper and lower eyelids. 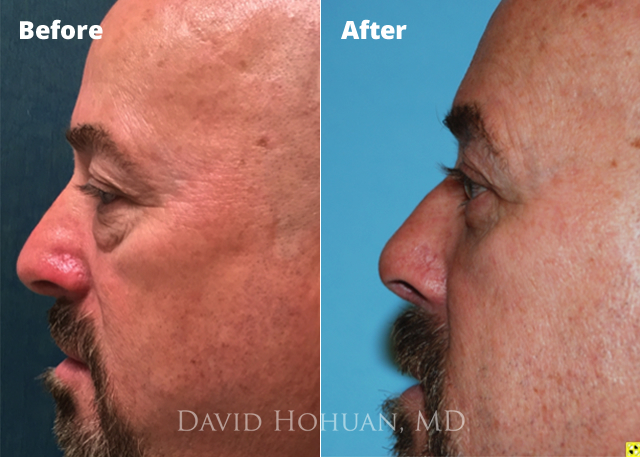 Technique: Open Structure Rhinoplasty, Septoplasty, Conservative Tip Refinement with reduction of infratip lobular show, reduction in alar base flare, control columellar strut.